Professor Lewis grew up in Effingham, IL, and he obtained his B.S. in chemistry in 2002 at the University of Illinois, where he completed thesis research with Professor Eric Oldfield. He then moved to the University of California, Berkeley where he earned his Ph.D. in 2007 under the guidance of Professors Jonathan Ellman and Robert Bergman. His research involved developing carbon-carbon bond forming reactions proceeding via catalytic carbon-hydrogen bond activation. Following his doctoral studies, he was awarded an NIH F32 fellowship to study protein engineering at Caltech with Professor Frances Arnold, and he received an NIH K99 fellowship to start his independent work in the Arnold group. 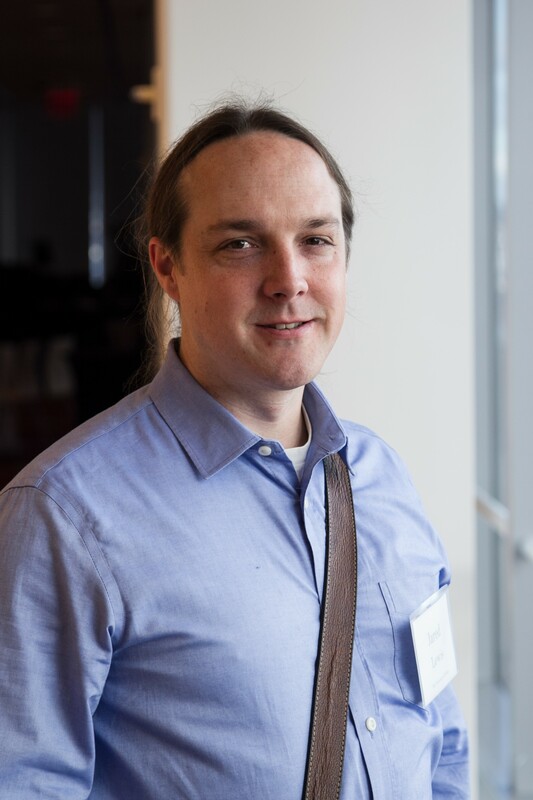 Jared started his independent career in the Department of Chemistry at the University of Chicago in 2011, and he moved to Indiana University as an Associate Professor in 2018. Research in the Lewis group focuses on developing and understanding new organometallic, enzymatic, and hybrid catalyst platforms for challenging chemical reactions. This work has been recognized by a Packard Foundation Fellowship in Science and Engineering, a Searle Scholar Award, an NSF CAREER Award, and a Dreyfus Teacher-Scholar Award.